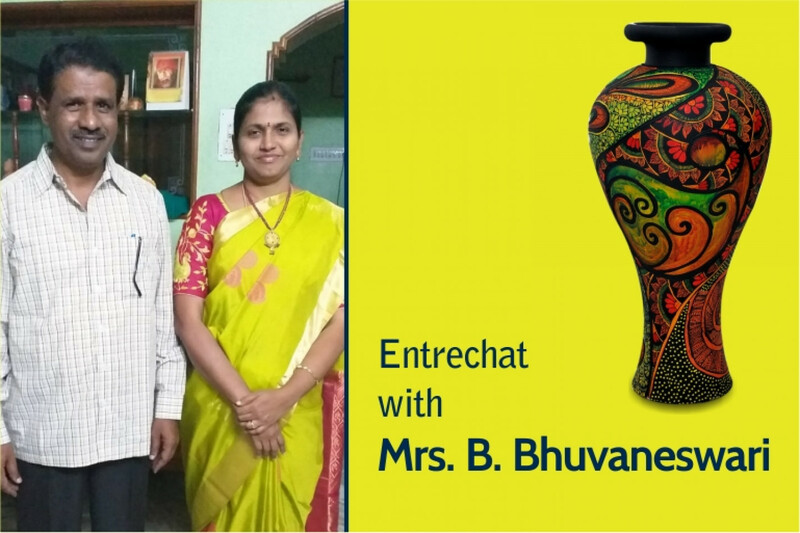 Mrs B Bhuvaneswari started her business with her husband, Krishnamoorthy, who was a social worker before he ventured out. They are for sure, “enjoying this experience”. 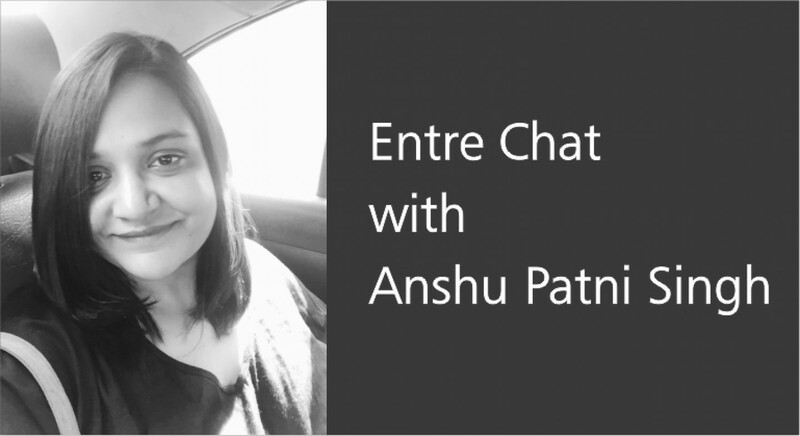 She shares with Shree Lahiri, how the whole started, the challenges faced, opportunities and more….Without any hesitation, she endorses that “the person who is working enthusiastically, is the one who gets all the sweetness at the end”! We started in 2012, in the handicrafts sector. Our beginning started through the NGO – Rural Education for Action and Change at Tirupati, Andhra Pradesh. We were organizing skill upgradation training for different artisans on products like terracotta pottery, banjara embroidery, kalamkari paintings, appliqué work, bamboo items and so on. We were promoting small production efforts at the village level. We also started a showroom at Tirupati and also went on to participate in exhibitions. The first four years, we concentrated on village artisans to create production centres. Today we have six production centres set up. For upgradation, we took funds from the Ministry of Textiles and from the district level government funds – District level Rural Development Agency (DRDA). In Tirupati, there is a “shilparamam”, like Dilli Haat in Delhi, where the state government allots stalls at concssetional rates and we took one stall and put our products for sale. Our day-to-day customers want new designs and innovative level of products. At the village level, this really tough. Then there is the competition between plastic goods and machine made goods. Machine made goods are made in bulk and cost less than hand made products, where the cost is high. What about any training you conducted? When training new artisans, it is impossible for them to learn. If they are from a family of artisans, it is easy, otherwise training unemployed youth is a waste! There are a lot of problems selling online. One person may order, but the payment is made on receiving. Tracking the sale is difficult. Some may bargain or say it is not ok, after receiving the goods. So it’s not clear whether they will pay or not! How big is your team and how do you stay inspired? We are four members – me and my husband, and two other people. We have got our day-to-day sales increased. This is encouraging. But competition is very much there. Customers are interested in buying hand-made products, and we have to work hard to push ahead. Would you need any further training to improve? Yes, definitely, we will welcome that. Where do see your business three years later? Currently our monthly business is reasonably good. We hope to double our sales, in the next three years! Soon after completing Master Degree in Media Science, with a specialization in marketing, Sagarika Dev started her own clothing label ‘Raaika’, the brand which has got the attention of online shoppers. Today, it is growing rapidly to reach an even wider range of audience. 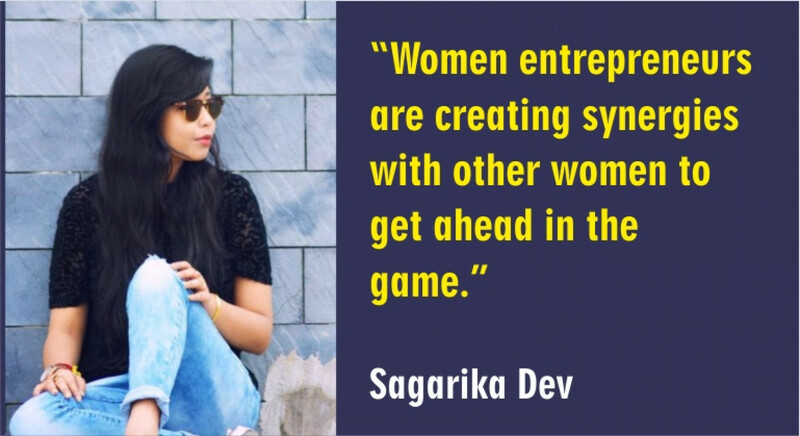 Originally from a small hill station called Haflong in Assam, Sagarika moved to Kolkata 7 years back, and since then she was determined to do something unique that would lead her towards her goal. In conversation with Shree Lahiri, she reveals where she gets her inspiration from. “A girl should be two things: who and what she wants” said Coco Chanel – this is from where she gets the energy to follow her dream and move forward, despite many obstacles that life had laid before her. 1) Tell us a little about your venture. How long ago did you start up? What has been your motivation and what do you aim to achieve? Raaika is an online clothing brand of women’s western outfit. It represents every fashion-conscious and independent woman who wants to look good, feel great and confident about herself. With our extensive research and fashion forecasting methods, we bring out the designs which are unique, latest and trendiest – yet truly affordable. The venture was incorporated on February, 2017. However, it was April, 2017, when Raaika went live online for the very first time. That’s when the dreams started to come true. It is more than a brand to me, it is a seed which we planted and now we can witness it growing. Self-confidence has always been the motivating factor for me as I have always believed that right outfits always bring the best out of a woman, by making her more confident and self-assured in whichever role she is representing. On that account, the aim is to be the brand which should always be present in the wardrobe of every single fashion-conscious woman. 2) Where did the inspiration for setting up a business come from? But, I believe things do not work in that way all the time. Inspiration does not always come from what you study. Even though being from Media & Marketing background, apparel designing and visualising has always been an important part of me. So, the inspiration comes within. It is the inner-self which has inspired and motivated me to chase the dream and make it a reality! It is not always necessary that a specialist of a particular field can be a good entrepreneur and vice-versa. Moreover, in my case, self-inspiration plays a big role to motivate me as I have looked at things from different angles. Being passionate about apparel designing and shopaholic at the same time has helped me to acquire a lot of knowledge about brands, textiles and their designs. My post-shopping excitement never ended with a selfie or donning new outfits. My excitement has always extended to the technical knowledge I acquired by researching and studying every new outfit that I used to purchase. I still do the same! On the other hand, being from Media & Marketing background I have always been a great enthusiast understanding human behaviour & psychology. With the evolution of social media, my interest in understanding and researching human behaviour on social media platforms has grown immensely and hence, the connection with the fashion industry has grown even stronger. It has helped me to a great extent to understand my potential business opportunities way before my venture was incorporated. These have played an integral role, inspiring me to start this venture. 3) How easy or tough has it been for you, as a woman entrepreneur, to set up and promote your business? It has never been an easy journey. Things cannot be special if they are easy to achieve. It doesn’t matter which gender you represent as an entrepreneur, because the process remains the same. The challenge for every entrepreneur in this clothing industry is the competition. Competing with international labels as they all have online presence and also with the booming domestic online brands – it is never easy to fit your products in as a start-up brand. However, with proper management, a balanced working team and understanding consumer psychology – things can be set. Also, it is important to understand that promoting your business is not all about spending money; it is more of a tactical approach by doing things which are relevant and which increases the awareness of your brand. Nevertheless, being a woman in this ‘still’ male dominant culture, I feel blessed that I am an employer of 15 people currently, and it feels great to be the reason for someone’s employment where the majority of your employees are men! This shows gender can never become a pivotal factor, if you have the intensity. As I have mentioned previously, entrepreneurship doesn’t represent any gender, it is a regular practice and discipline attached to your mind and soul. Coming to a big city like Kolkata from a very small town called ‘Haflong’- in the hills of Assam, I have never felt for once that I am inferior to anyone because I am a woman! That I belong to a small town, who is now in this “City of Joy”. 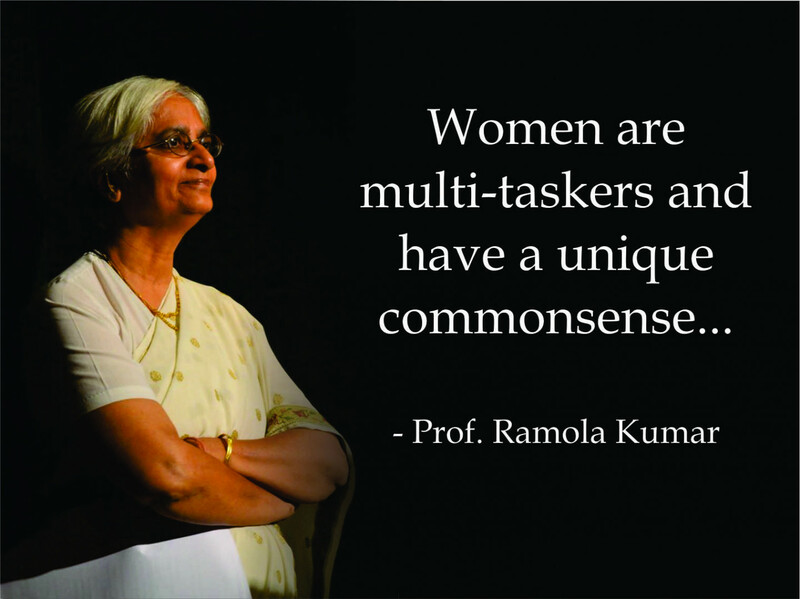 The same confidence and message I would like to convey to every individual woman and the upcoming woman entrepreneurs. Things are never meant to be easy, so in hard situations don’t let yourself down by comparing yourself with your corporate counterparts. If you have the belief and the self-confidence, you can reach any heights regardless of what gender you are! 4) Do you think women entrepreneurs support other women across the value chain of business? How have you impacted/ supported/ mentored the careers of other women? Yes, I do think women entrepreneurs are creating synergies with other women to get ahead in the game. They have figured out a ‘pay-it-forward’ mentality through mutual respect and ingeniously want to see each other succeed. It really feels great to be the person and, as a woman who can make an impact on other women’s career or life. In my case, one of my employees, decided to handover her notice period at work. It was really unexpected from her and when I asked the reason, I heard the same old story which we all are used to. Her parents want her to get married as she has younger sisters, who need to get married too. Initially I thought not to intervene as it is their personal matter but, later on when I spoke to her personally I realised that being a woman myself I just couldn’t let another woman be forced not to fulfil her dreams! Marriage is not everything for a woman. So, I decided to speak to her parents personally (without thinking what would be the outcome!). I was well aware it would not be an easy task (as I know how uncompromising Indian parents could be, where marriage is concerned)! However, the outcome was sweet, though not expected! Her parents postponed her marriage for a year and surprisingly, they are looking for a ,son-in-law who would let their daughter work even after marriage!! 5) How has the support of friends and family played a role in your being a successful entrepreneur? How do you balance your professional and personal life? Parents did play a significant role for what I have achieved so far. Without their support and patience, things wouldn’t have happened the way it has! Being the only daughter, it is always obvious to assume that any typical Indian family would think of marriage; or, they would always prefer their daughters to work in a MNC company, because setting up a business takes time and money (with huge risks involved!). But things were different for me; I got immense support from my parents. Every day, they always show their great interest in helping me move my business forward. It really motivates me a lot and makes me even stronger as a woman! Yes, sometimes it does get hectic to balance professional and personal life but, I always try to maintain an equilibrium. It is very important to realise we work to live the life we desire to. So, paying attention to your personal life is more of a reward to yourself!! 6) What is the road ahead in 2018? Within a month, we are going to launch our fourth collection, which I am sure will mesmerise our existing brand audience!! Also, we are digging more and more to understand the market gap, the opportunities and the psychology of the consumer – which will lead us towards better product development and will also cater to the needs of every woman’s wardrobe. Later this year, our fifth collection will also go live. A very busy and important year ahead! 1) Tell us a little about your business venture. How long ago did you start up? What has been your motivation/inspiration and what do you aim to achieve? I have been in the fitness industry for over 2 years now. Initially I was associated with an online health portals a fitness consultant where I managed a good client base, ranging from doctors, working professionals, business heads, house wives, young professionals, pilots ,CEOs, bankers etc. Recently, I branched out on my own with my brand ‘Nitu Bajwa’. The motivating factor being the ability to help and assist people with their health and fitness goals, making them achieve their dreams of a better health, through my expertise. What really thrills me is the part where I can help them understand and achieve their health goals, hand-holding them. The connect one makes with an individual during the consultation gives me immense satisfaction and motivates me. I am a firm believer of educating people/clients about their lifestyle and how easy it is to make sustainable changes in it – to maintain good health and fitness levels. It’s my way of giving back to the society I am a part of. 2) How has your experience been so far, with setting up an entrepreneurship business? Things have been on a roller coaster pace till now, with tons of work. Setting up the tech support and website – it’s like giving birth to a child, where you have to be mindful of every tiny requirement the infant has, till she grows up to be independent. It’s been a good learning experience till now – with so many aspects, right from making sure that client service, finance, legal, tech support everything is in place. I have taken professional assistance to get all these in place form venture. 3) How easy/ tough has it been for you, as a woman entrepreneur, to set up your business? What are your plans to scale up? I would say it’s been super easy! Being a woman, the first thing that innately comes to us is empathy and the ability to connect to a person; and these two aspects are extremely important in my business. I am working on associating my brand with a few other brands in the fitness sector, and there are plans to expand. There are many things in the pipeline, like to get in more coaches on my platform. 4) Do you think being a woman entrepreneur worked to your advantage or brought challenges to your path? Fitness industry till now was a male dominated one, but with time a lot of female experts have created their own niche. Today it’s a very balanced field, where the gender has no importance, what makes a difference is how knowledgeable one is about the latest developments and researches, how well one can guide and help the clients and above all, your personal fitness levels – you got to walk the talk. My biggest advantage being my age, having brought up two kids and gone through the stage of a very unhealthy lifestyle which integrated into a healthy one. I have been through the different stages and that helps me a lot to identify and solve issues with others. 5) What would be the top 3 things to watch out for, if you’re a woman looking to start her own business? A man or a woman, the three things that I rate highest to start your own business are – vision, hard work and integrity. Rarely, you would find businesses not working inspite of these three aspects in place! 6) How has the support of friends and family played a role in your being a successful entrepreneur? How do you balance your professional and personal life? My family has been very supportive of my venture, and without their support it would have been very difficult to pull it off! My husband has been in the corporate field for many years and his expertise came in handy, while getting all the legalities and the website work in place. I work 5 days a week and the weekends are strictly for family and ‘me’ time. My kids are in a growing stage and they require my undivided attention. I am also into dramatics, trekking and I love cooking….these things help me unwind and spend quality time with my family and friends. The company is just 3 months old. I have been in media for the last 14 years and the motivation was to use my experience to build a company which partners with brands and companies and create content IP’s along with them rather than being vendors. This is the age of disruption and business models are changing everyday as is the landscape driven by technological and economical changes. This is in essence the genesis of Katha Pictures, to be a content studio, which is known for all forms and formats of storytelling. Simply put, to create content which is part of people’s lives through brands, platforms or any other products. We are still new into the business, but the response has been tremendous as there is a lacuna in the market for a content studio. We have great team of collaborators and storytellers and if your work ethics are strong and people respect you for that, things fall into place sooner or later. Professionally, no. Because challenges are always the same. However, as a woman the approach sometimes is different. As women we have our own set of fears and conditioning which we need to learn to let go off. Not that men don’t have it, just that they work on it better as compared to women. Many a time, women under estimate and undervalue themselves and seek validation from others. However, they don’t need this or have to wait for others to notice and reward them for their contributions. All we need to do is remind ourselves how we have reached there and believe in our capabilities. 6) Women often tend to ask for less money when in negotiations. It is fine to quote an amount you think you deserve and not be worried about the opposite party! Make your own networking list: When you start a business, you need all the help in the world and that’s when you need to sit and make a list of people you want to reach out to. It’s okay to reach out to as many people you want to. Don’t hesitate in reaching out and making them part of your ally network. 7) How has the support of friends and family played a role in your being a successful entrepreneur? How do you balance your professional and personal life? My family and a group of close friends have been my backbone and biggest support system. When I am away, my husband and family support me in taking care of our 3 1/2 year old daughter. Also, the support system in family and friends make you want to go back to work without worrying much. But also, my business partner Suparn is a man and we respect each other’s family time; so, depending on who needs me more, I divide my time. Sometimes the balance is more towards work and sometimes towards family! 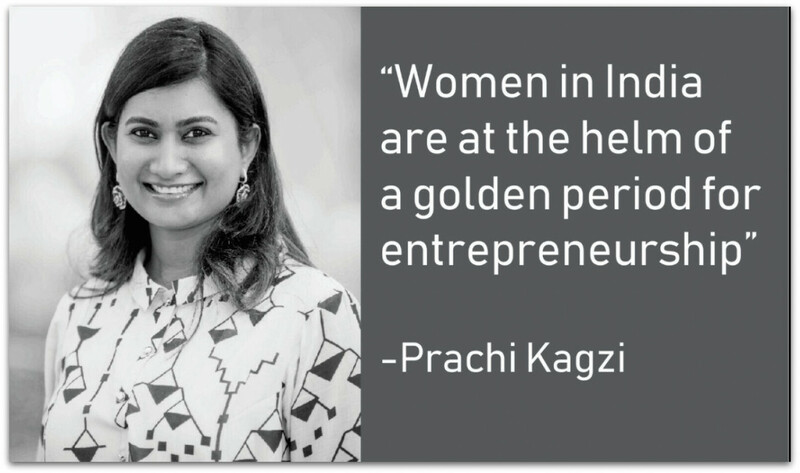 Prachi Kagzi, Founder, Little Passports India, is a travel evangelist and mother to a five year old. 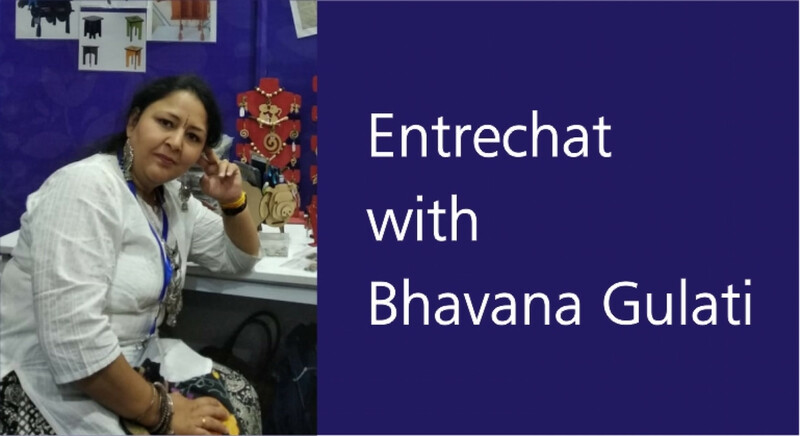 She is a MBA who has been in the corporate world for over 8 years and, now decided to follow her passion for kids and travel. How did the idea of becoming an entrepreneur come up in your mind? How has the journey been and where has this reached today? Little Passports gives parents and kids the luxury of taking the road less traveled along with the safety of group travel. On the contrary, Little Passports being an innovative concept in the education/travel world , has received an overwhelming response from family, friends , parents and educational institutions, alike! There was a gaping hole in this sphere and, we have touched the nerve of every enthusiastic parent and the IB curriculum based schools in India by offering these tours. We have been applauded many times in the media, including the Travel Magazine Conde Nast Traveller. How did you narrow down to focus on travel and kids in the business venture you started? Little Passports is a novel concept in the kids travel space for India. We organise educative travel tours for kids aged between 3 and 15. The concept resonates with today’s parents who value ‘learning by doing.’ These trips are in tandem with popular school holidays. The tours designed for kids have been formulated with all my travel knowledge and experiences of travelling with kids. The tours are proactive to keep needs of kids and concerned parents in mind. I understand the importance of age appropriate attractions and energy levels of kids and have devised itineraries accordingly. I have a penchant for kid’s destinations and aspire to convert all my experiences to trips through Little Passports. Little Passports envisions to be synonymous with unique destinations coupled with the parent and child bond allowing hassle free travel with a like-minded group of kids and adults.We plan to go pan- India in a bigger format where we have ongoing and multiple trips simultaneously during all school holidays , region-wise. 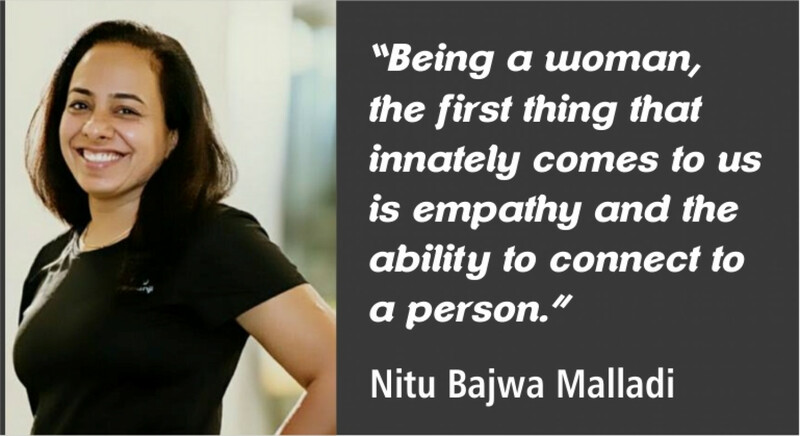 How do you feel women are placed today, to take up entrepreneurship in India? Armed with specialised education and supportive families, women in India are at the helm of a golden period for entrepreneurship. What advice would you have for someone starting out new? Believe in your ideas and persist!